In my previous blog post I outlined The Top 10 Benefits of Meditation, mentioning that it gives your mind a powerful boost. I consider the effects on meditation on brain functioning profound for a person’s life, so in this article I will go in-debth on the scientific research and evidence of what happens to your brain when you meditate and why meditation is the most powerful tool ever to increase your mental abilities, creativity and intelligence. I have looked into the work of many scientists the past few years including the work of world-renowned Quantum Physicist John Hagelin, director of the Transcendental Meditation movement for the US (which you might recognize from his participation in the movie ‘The Secret’). Dr Hagelin has carried out extensive scientific research during the past 20 years, on how meditation impacts the brain activity and our mental abilities, as well as our connection to the ‘Unified Field’. Dr Hagelin specifically describes meditation as the state where we are in the ‘Unified Field’ – the most maximally expanded state of human consciousness – a state that is distinct from being awake, sleeping or dreaming. This ‘fourth’ state of consciousness has the most profound effect on health, brain functioning and virtually every area of human life. According to Dr Hagelin’s research, meditation is indeed a method that we can use to explore deeper levels of intelligence. But how is this scientifically proven? Looking at the electrical impulses and firing of neurons in different parts of the brain during transcendental meditation through an EET scan, the scan of the brain of a meditator Vs a non-meditator, shows that the firing of neurons in the brain of the meditator happens in a more integrated and synchronized way. In short, the brain of the meditator becomes entirely coherent. The left and right hemispheres of the brain work together in a highly integrated and coordinated way during the meditation practice – something that is an educational breakthrough, because science shows that such coherence of the brain is scientifically related to increased IQ and moral reasoning, increased creativity and learning, increased psychological stability and emotional maturity, enhanced alertness and reaction time. Another study proved that intelligence and IQ increased year by year in college students who practiced trancedental meditation. This is an extraordinary finding, as the previous view of human potential is that intelligence freezes at adolescence and doesn’t increase in college students or adults. Another finding of modern science is that the brain is extremely plastic, capable of forming new connections and learn fundamentally new things at any time throughout a person’s life. But the problem with the brain is ‘use it or lose it’. In this context, there is nothing other than the meditative state that engages the total brain (Gobal EEG coherence). For example physics, mathematics, literature, music and the arts, engage each only tiny parts of the brain. Only the meditative state engages the brain holistically and systematically develops the total brain. And what is most important is that if the total brain is not engaged, parts of it begin to atrophy. Neuroscientists mapping your brain are now making amazing new discoveries of how we can use meditation to re-wire and recreate our neural circuits in the brain, so that they are more adapt to help us achieve the life we dream of and desire. Through special mediation techniques and sounds which bring the brain to a deep meditative state, you can basically master your mind, by clearing limiting thoughts, beliefs, attitudes and behaviors and ‘installing’ into the brain, new beliefs, attitudes and behavior patterns that will help you improve your work, business, finances, relationships and health. The brain re-wiring function of meditation has probably been the most profound for me, as this is the reason I began using meditation a few years ago. Over time and through systematic use, I shifted limiting mindset, behaviors, feelings and habits which slowly lead to designing a whole new life in the way I desired. I use it every day to keep improving and forming new beneficial neural connections in the brain, improve my attitude, beliefs, habits and results. The prefrontal cortex of the brain (beneath the forehead), is responsible for all of our higher human functions, such as decision making, moral reasoning, planning, the ability to consider the implications of our actions. This prefrontal cortex shuts down when we are under stress, and under chronic stress it shuts down chronically, fails to develop properly and the higher human functions of decision making and moral functioning fail and do not function, so the person fails to behave as a responsible adult. 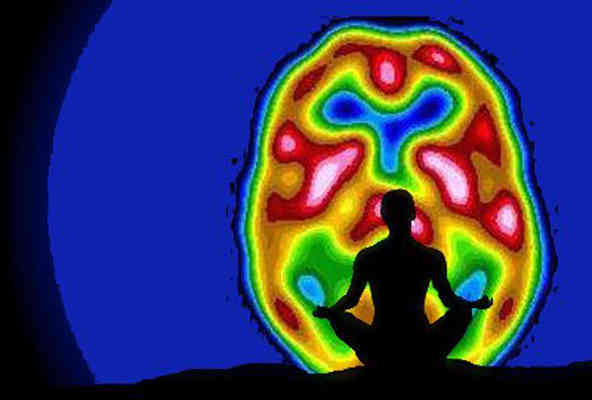 Meditation not only engages the prefrontal cortex, but it connects it to the rest of the brain, bringing mature, adult, far-sighted behavior. People who are into spirituality also call the prefrontal cortex area of the brain as the ‘Third Eye Chakra’, which open can help us see clearly what is happening in our world and what the right decisions are for our life and for the world. Unfortunately most people today due to excessive amounts of stress they go through during their lives, have their ‘Third-eye’ chakra or ‘prefrontal cortex’ closed, and so they fail to make good and sound decisions for their life, falling into the same negative cycles over and over again. Meditation is a proven method to open up this part of the brain, so that your thoughts can direct you to the decisions which are best for you. Meditation is our direct experience of the ‘Unified Field’ which is the state where we experience our full potential, higher states of consciousness or enlightment. The experience of the unified field is the maximally expanded state of human comprehension, which results from total brain functioning, that results from meditation. This comprehensive state of human consciousness, gives us the ability to comprehend the long-range, far reaching implications of our actions, so that we think and act in a more global way for ourselves, the world and the environment in which we live in. This state is called enlightment. We begin to see others as ourselves, everything is as near and as dear as oneself, the capacity to love is maximized which is the foundation of ideal interpresronal relationships and a harmonious and peaceful society. Meditation has an effect on reversing the effects of aging, including improving learning ability, memory, creativity and intelligence as well as mind-body coordination. Findings of the research prove that meditation can also easily be called an ‘anti-aging program’. As the above benefits can be experienced by people of every age, from children to elderly people, we can safely say that meditation helps us to develop our full mental potential throughout our lives. Are you meditating yet? To help you kick-start your meditation practice easily and effortlessly, I recommend Holosync meditation program from CENTERPOINTE RESEARCH INSTITUTE.